If anyone has a 360 that they don’t need or are willing to sell for $200-$250 let me know, please. Ebay, it’s a good game but I wouldn’t go buy an Xbox 360 for it, unless you really like halo multiplayer. That’s not a Warthog, it’s a Puma! Yeah, dondivad, it’s a chupathingy. If anyone wants to play some co-op Legendary or multiplayer hit me up. 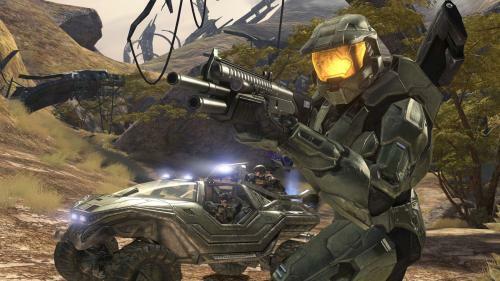 Meh same as Halo 1 really…maybe the gun is changed but that’s it.